It seems like we are constantly updating the way that we have J help around the house. As he gets older he is getting more resposibilities and we are trying to teach him good values with his money. 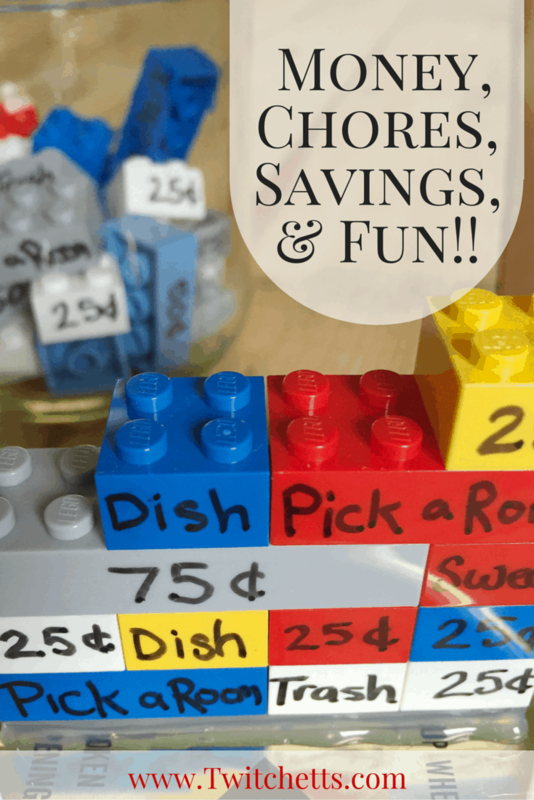 We have created a Lego chore chart to help us keep track of it all. 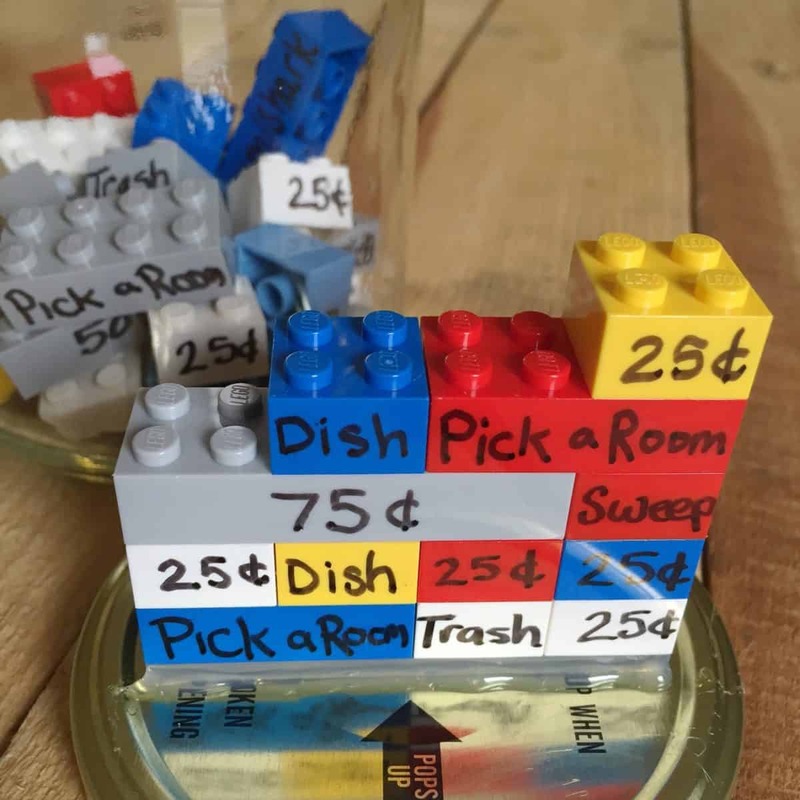 Since it is interactive and Lego he is all about getting to his chores. They will be learning about adding money. A jar or container with a lid. 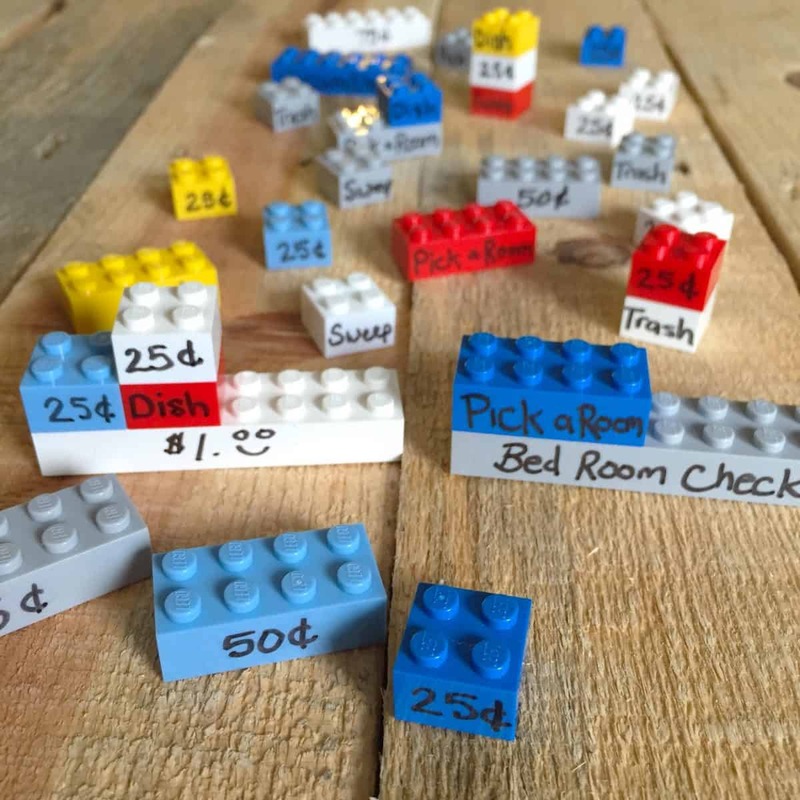 First, go through with a permanent marker and write money values on one side of each brick. Then add a chores on the other side. Keep in mind while writing out your bricks some of this money will go to savings… at least that is our set up. I created enough bricks that my son could do it all in one week. However that has yet to happen. These are the guidelines that we set up. Make what works for Your family! Then be consistant. If we ask him to do something on a brick he must do it right away, or he will still need to do it, and wont get a brick. He doesn’t get paid until he has completed his whole jar of bricks. This would equal $13. He has to deposit $5 into a savings account. 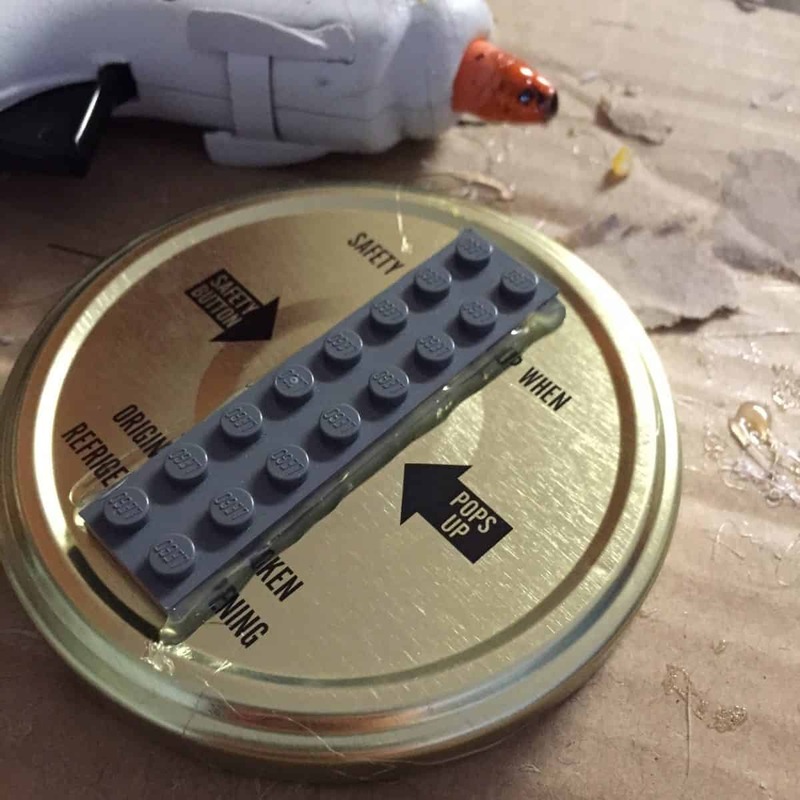 Take and glue a 2×8 flat brick to the lid of your container. 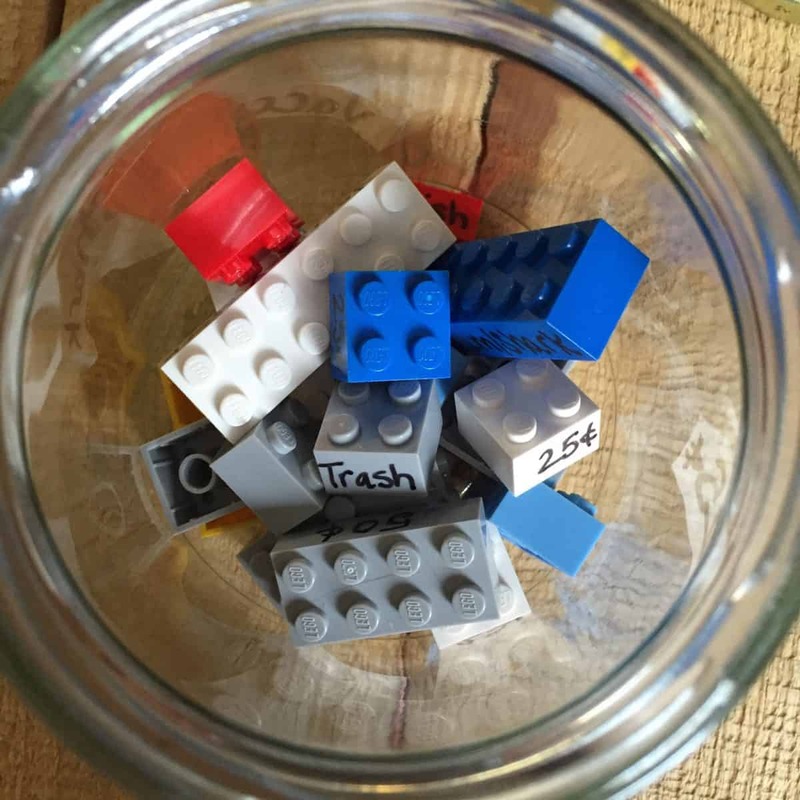 Then store all of the loose pieces inside. They can take out and build a tower as they complete their chores. Each row will equal $1.00! 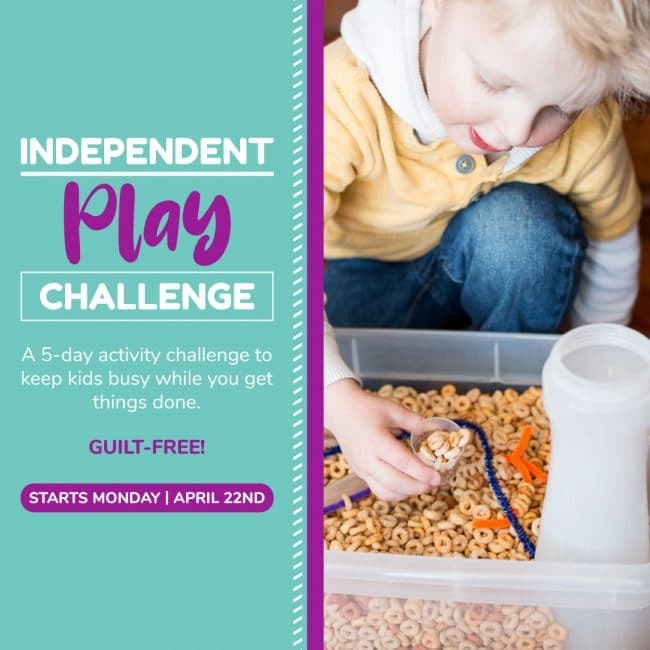 I hope this helps get your kiddos involved around the house! I love that each row equals $1.00! What a fun way to learn about money and responsibility!